David Ewert, teacher and churchman, was born on December 5, 1922, to David D. Ewert (1894-1989) and Margaretha Wiebe (1900-2000) in Alexanderhof, Memrik, south Russia (now Ukraine), the second of four children (John, David, Margaret, and Abe). David married Lena Hamm on October 12, 1944, in La Glace, Alberta, Canada. Lena was born on March 19, 1923 to Martin M. Hamm (1899-1982) and Anna Warkentin (1896-1953) in Schoenau, Zagradovka, south Russia (now Ukraine). Five children were born to David and Lena: Eleanor, Marianne, Ernest, Grace and Doreen. David died in Abbotsford, British Columbia, Canada on April 23, 2010, where he is buried. David’s family, along with many other Mennonite families, immigrated to Canada in 1926 with hopes of brighter future, as Stalin’s new religion-less society and farm collectivization program began to spread across Russia. The long tradition of Christian faith, hard work, and private enterprise, made the prospect of Soviet-style communism difficult for Mennonite families to accept. Once in Canada, the family settled on a farm near Coaldale, Alberta in1930, after short periods in Main Centre, Saskatchewan and in Risor, Ontario, near Kapuskasing. The Coaldale farm was his home through grade school, Bible school, and until David left to get married and begin his teaching career at age 21 (1944). Prior to his marriage to Lena, David worked on the family farm and studied at the Coaldale Bible School (1939-1942), the Winkler Bible School (1942-1943), and Prairie Bible Institute (1943-1944). After his first teaching assignment at the La Glace Bible School (1944-1946), David and Lena moved to Hepburn, Saskatchewan, for one year (1946-1947), where David finished high school (grades 11 and 12) and taught several classes at the Hepburn Bible School. David’s post-secondary education began in Vancouver at the University of British Columbia. After one year at UBC (1947-1948), David agreed to teach Bible at the Coaldale Bible School (1948-1952), returning to UBC to study liberal arts during the summer sessions. He graduated with a BA degree in 1951. Accepting an invitation to teach at the Mennonite Brethren Bible College (MBBC) in Winnipeg, David traveled to Chicago for Wheaton Graduate School’s 1952 summer session, beginning a year-long preparation for college teaching. After the summer session, the family moved from Chicago to Toronto, where David spent the academic year 1952-1953 at Central Baptist Seminary. He graduated with a B.D. degree in 1953 (thesis: “The Principles of Sanctification as outlined in the book of Romans”) and began teaching at MBBC in the fall of 1953, after another summer session at Wheaton. During the next nineteen years (1953-1972), David taught Bible at MBBC in both German and English, while continuing to take summer school classes, extension classes, and weekend classes in Winnipeg, St. Paul, St. Louis, and Chicago. He graduated with an MA degree in Biblical Literature in 1956 from the Wheaton Graduate School (thesis: “The Word Chesedh in the Old Testament”). In 1961, he graduated from Luther Theological Seminary in St. Paul, MN with an MTh degree (thesis: “The Christology of the Apocalypse”). After completing most of the requirements for a doctorate at the Luther School of Theology in Chicago, David came to an impasse with his advisor during the 1966 summer session and decided to abandon the program. The next year, during his sabbatical year (1967-1968), he moved his family to Montreal and started another doctoral program at McGill University. Taking a one-year leave of absence from MBBC, the family spent a second year in Montreal, graduating with a PhD degree in New Testament in 1969 (dissertation: “The Spirit of the Age to Come”). After his long teaching assignment at MBBC came to an end in 1972, David moved to the US and taught there during the next ten years. He taught New Testament at Eastern Mennonite Seminary in Harrisonburg, Virginia (1972-1975) and Mennonite Brethren Biblical Seminary (MBBS) in Fresno, California (1975-1982). He completed his professional career by returning to Winnipeg and serving as president of MBBC (1982-1988). During these years he also taught short courses in India, South America, and Europe. In retirement, he lectured as visiting professor in Africa, Europe, and again for two years in Fresno at MBBS (1990-1992). David and Lena made their retirement home in Abbotsford, British Columbia, where he continued taking speaking and teaching assignments. He was a regular lecturer at the annual Bakerview Bible Conference in Abbotsford right up to the year of his death in 2010. In a ministry that spanned more than 50 years, David taught and preached with considerable energy and focus, continually in demand to speak at churches, conferences, and special meetings. He always spoke from prepared, type-written manuscripts, many of which are now preserved in the fonds described below. He published a great deal: over twenty books and several hundred articles, mostly (but not exclusively) for Mennonite Brethren church magazines, such as, Mennonite Brethren Herald, The Christian Leader, and Die Mennonitische Rundschau. See fonds description below for full list. To recognize his service in the Mennonite Brethren Church, he was awarded an honorary doctorate by MBBS in 1999. Starting in 1970, David served for two decades on the Board of Reference and Counsel of the bi-national US and Canadian MB Churches, helping to shape in large measure the bi-annual study conferences that dealt with doctrinal and ethical issues. Biographers, Bruce Guenther and Kevin O’Coin, summed up David’s contribution this way: “As a highly respected Bible teacher, preacher, and scholar, Ewert defined and embodied the convictions of the Mennonite Brethren Church. . . . His influence helped to move Mennonite Brethren away from both a particular, and often exclusive German-Russian ethnicity, and from aspects of American fundamentalism that some had found attractive” (Harold Jantz, ed., Leaders who shaped us, 232). More details of David Ewert’s life and legacy can be found in the following biographies: A.J. Dueck, H.J. Giesbrecht, and V.G. Shillington, The Bible and the Church: essays in honour of Dr. David Ewert (Winnipeg: Kindred, 1988); David Ewert, A Journey of Faith: an autobiography (Winnipeg, Kindred, 1993); David Ewert, Mennonite Country Boy (Abbotsford: Heartbeat, 2004); Bruce Guenther and Kevin O’Coin, “David Ewert: Bible teacher and scholar for the church” in Leaders who shaped us: Canadian Mennonite Brethren: 1910-2010, edited by Harold Jantz (Winnipeg: Kindred, 2010). Following David’s death, his family determined that David’s personal papers were to be deposited at the Centre for Mennonite Brethren Studies, Winnipeg. On July 12, 2011, David and Betty Giesbrecht delivered six banker boxes of David Ewert’s sermons and lectures to the Centre (see David Giesbrecht, “Dr. David Ewert’s Personal Papers Donated to CMBS” Mennonite Historian 37/3 [Sept 2011]: 2, 11). The David Ewert fonds consists of six series: Course syllabi and course lecture manuscripts, Unpublished manuscripts, Bibliography and annual publication & speaking record, Lecture series, Topical papers and presentations, and Sermons. This fonds documents well the impressive productivity of David’s teaching and preaching ministry among the Mennonite Brethren. Description created by Jon Isaak, June 2012. I. Course syllabi and course lecture manuscripts. This series consists of course syllabi and lecture manuscripts (German and English) prepared by David Ewert and used in various teaching settings. The Bible courses begin the series and are arranged in canonical order. The other courses are not arranged in any particular order. Finding aid: Vol. 1352, No. 1-38; Vol. 1353, No. 1-34. This series consists of unpublished manuscripts (German and English) prepared by David Ewert. The manuscripts are not arranged in any particular order. Finding aid: Vol. 1354, No. 1-32. III. Bibliography and annual publication & speaking record. This series consists of publication, speaking, and academic records. The files are not arranged in any particular order. Finding aid: Vol. 1354, No. 33-38. This series consists of lecture manuscripts given at various conferences and lecture series. The lecture series are not arranged in any particular order, except for the last half of the series where the conferences are identified by name and date; these are arranged in chronological order. Finding aid: Vol. 1355, No. 1-27. V. Topical Papers and Presentations. This series consists of manuscripts of various papers and presentations on biblical and theological topics. The presentations are arranged in alphabetical order by title. Finding aid: Vol. 1356, No. 1-93. This series consists of sermon manuscripts (German and English) preached in various congregations and settings. The sermons are arranged in canonical order. Sometimes the manuscript is annotated with the names of the congregations and the years in which it was given; in these cases, the last occasion is noted in the file list. 1. Introduction to Biblical Studies. -- [198-?]. 2. Introduction to the Bible: OT World. -- [198-?]. 3. OT Text and Canon II. -- [198-?]. 4. Canon and Text of NT III. -- [198-?]. 5. Ancient Versions of the Bible IV. Establishing the best Text V. -- [198-?]. 6. The English Bible VI. -- [198-?]. 7. New Testament Backgrounds I. -- [199-]. 8. The Roman World II. -- [199-]. 9. NT Backgrounds III. -- [199-]. 10. NT Backgrounds IV. -- [199-]. 11. Biblical Backgrounds V. -- [199-]. 12. Markus I. -- [1989?]. 13. Markus II. -- [1989?]. 14. Advanced Greek Grammar and Exegesis: Mark 1-3. -- 1990. 15. Advanced Greek Grammar and Exegesis: Mark 4-5. -- 1990. 16. Advanced Greek Grammar and Exegesis: Mark 6. -- 1990. 17. Advanced Greek Grammar and Exegesis: Mark 7-8. -- 1990. 18. Textual Criticism and Greek Exegesis: Mark 9-10. -- 1991. 19. Textual Criticism and Greek Exegesis: Mark 11-13. -- 1991. 20. Textual Criticism and Greek Exegesis: Mark 14. -- 1991. 21. Textual Criticism and Greek Exegesis: Mark 15-16. -- 1991. 22. Synoptic Gospels I. -- [198-?]. 23. Synoptic Gospels II. -- [198-?]. 24. Synoptic Gospels III. -- [198-?]. 25. Synoptic Gospels IV. -- [198-?]. 26. Synoptic Gospels V. -- [198-?]. 27. Synoptic Gospels VI. -- [198-?]. 28. Synoptic Gospels VII. -- [198-?]. 29. Synoptic Gospels VIII. -- [198-?]. 30. Parables of Jesus I. -- [199-]. 31. Parables of Jesus II. -- [199-]. 32. The Sermon on the Mount. -- [198-?]. 33. Apostelgeschichte I. -- [199-?]. 34. Apostelgeschichte II. -- [199-?]. 35. Apostelgeschichte III. -- [199-?]. 36. I Corinthians 1-6. -- [199-]. 37. I Corinthians 7-12. -- [199-]. 38. I Corinthians 13-16. -- [199-]. 1. I Korinther I. -- [1990?]. 2. I Korinther II. -- [1990?]. 3. Greek Exegesis: II Corinthians. -- 1970. 4. Greek Exegesis: Galatians I. -- [197-?]. 5. Greek Exegesis: Galatians II. -- [197-?]. 6. Prison Epistles: Ephesians I. -- [199-]. 7. Prison Epistles: Ephesians II. -- [199-]. 9. Prison Epistles: Philippians. -- [199-]. 10. I Thessalonians I. -- [199-]. 11. I Thessalonians II. -- [199-]. 12. II Thessalonians. -- [199-]. 14. Pastoral Epistles: I Timothy (German). -- [195-]. 15. Pastoral Epistles: I Timothy I. -- [197-]. 16. Pastoral Epistles: I Timothy II. -- [197-]. 17. Pastoral Epistles: Titus. -- [198-]. 18. I John. -- [198-?]. 19. Offenbarung I. -- [198-?]. 20. Offenbarung II. -- [198-?]. 21. Offenbarung III. -- [198-?]. 22. Apocalypse I. -- [198-]. 23. Apocalypse II. -- [198-]. 24. Apocalypse III. -- [198-]. 26. Apocalypse V. -- [198-]. 27. Hermeneutik I. -- [199-]. 28. Hermeneutik II. -- [199-]. 29. Early Christian History and Thought I. -- 1974. 30. Early Christian History and Thought II. -- 1974. 31. Early Christian History and Thought III. -- 1974. 32. The Family in Biblical Perspective. -- 1979. 33. History of Missions I. -- [196-]. 34. History of Missions II. -- [196-]. 1. The Early Church: Studies in Acts I. -- [200-?]. 2. The Early Church: Studies in Acts II. -- [200-?]. 3. The Early Church: Studies in Acts III. -- [200-?]. 4. The Early Church: Studies in Acts IV. -- [200-?]. 5. The Early Church: Studies in Acts V. -- [200-?]. 6. The Early Church: Studies in Acts VI. -- [200-?]. 7. Der Heilige Geist im Neuen Testament. -- [199-]. 8. Matthew Manuscript. -- [200-]. 9. Gospel Vignettes: Studies of Selected texts from Matthew’s Gospel. -- [200-]. 11. Das Ende aller Dinge: Ein Versuch die Eschatologie des Neuen Testaments zu verstehen. -- [199-?]. 13. Exodus, Leviticus, Numbers, Deuteronomy. -- [200-?]. 14. Joshua, Judges, Ruth, I Samuel, II Samuel. -- [200-?]. 15. Old Testament History: I Kings, II Kings. -- [200-?]. 16. Verstehst du auch was du liesest? Eine Handreichung zur biblischen Hermeneutik. -- [199-?]. 17. NT Theology: Introduction to theology. -- [200-?]. 18. NT Theology: The God of the NT I. -- [200-?]. 19. NT Theology: Christ, the Son of God II. -- [200-?]. 20. NT Theology: The Holy Spirit of God III. -- [200-?]. 21. NT Theology: God’s Salvation in Christ IV. -- [200-?]. 22. NT Theology: The Church, the new People of God V. -- [200-?]. 23. NT Theology: The final triumph of God VI. -- [200-?]. 24. Eschatology: the Last Days I. -- [199-?]. 25. Eschatology: Signs of the times and tribulation II/III. -- [199-?]. 26. Eschatology: Antichrist V (no IV). -- [[199-?]. 27. Eschatology: The Parousia VI. -- [199-?]. 28. Eschatology: The Resurrection VII. -- [199-?]. 29. Eschatology: The Millennium VIII. -- [199-?]. 30. Eschatology: Eternal Punishment IX. -- [199-?]. 31. Eschatology: The Blessed Hope X. -- [199-?]. 32. Eschatology: Waiting for the Parousia and “death” XI. -- [199-?]. 33. Academic Records. -- 1939-2000. 34. Bibliography of David Ewert. -- 1967-2000. 35. Publication and speaking record by year, with related correspondence. -- 1976-2009. 36. Correspondence with CMBS regarding publication of autobiography. -- 1992-1993. 37. Two appreciation events, retirement and honorary doctorate. -- 1988, 1999. 38. Appreciation note and letter. -- 1964, 1981. 1. How our Bible came to us, 5 lectures. -- [198-?]. 2. Literary aspects of the Bible, 2 lectures. -- [199-?]. 3. History of the Bible, 4 lectures. -- [198-?]. 4. Four literary genres of the Bible, 4 lectures. -- [198-?]. 5. The Bible in translation, 5 lectures. -- [199-?]. 6. Markus, 6 Vorträge. -- [198-?]. 7. Der Galaterbrief, 8 Vorträge. -- [197-?]. 8. I Corinthians 12-16, 6 lectures. -- [198-?]. 9. I Timothy, 6 lectures. -- [198-]. 10. The book of Revelation, 5 lectures. -- [198-?]. 11. Eschatology and the Parousia, 2 lectures. -- [199-?]. 12. Bakerview Bible Conference Lectures on I Cor 1-5, 6 lectures. -- 1993. 13. Apocalypse lectures in German, 4 lectures. -- 1996. 14. Bakerview Bible Conference Lectures on I Cor 6-11, 5 lectures. -- 1996. 15. Bakerview Bible Conference Lectures on The Kingdom of God (Mark), 6 lectures. -- 1997. 16. Bakerview Bible Conference Lectures on The Passion Narrative (Mark), 6 lectures. -- 1998. 17. Columbia Bible College Lectures on Ethics, 4 lectures. -- 1998. 18. Bakerview Bible Conference Lectures on Paul’s letter to the Galatians, 6 lectures. -- 1999. 19. Bakerview Bible Conference Lectures on Revelation 1-7, 6 lectures. -- 2000. 20. Bakerview Bible Conference Lectures on Revelation 8-15, 6 lectures. -- 2001. 21. Bakerview Bible Conference Lectures on Revelation 17-22, 6 lectures. -- 2002. 22. Deutsche Bibel Konferernz, Die Gemeinde Jesu Christi im Lichte der Apostelgeschichte, 6 lectures. -- 2003. 23. 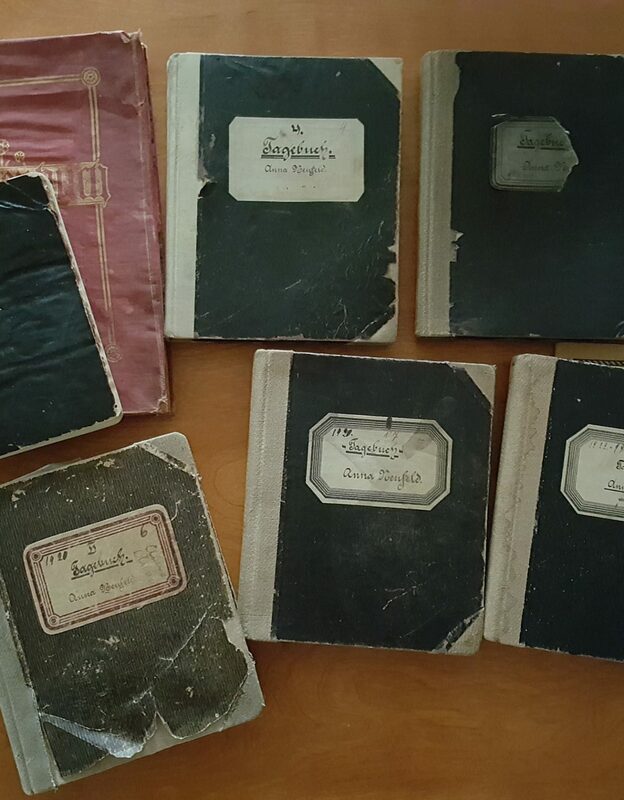 Deutsche Bibel Konferenz, I Thessalonicher, 6 lectures, plus two earlier lectures. -- 2004. 24. Bakerview Bible Conference Lectures on I Thessalonians, 3 lectures. -- 2005. 25. Bakerview Bible Conference Lectures on I Peter, 3 lectures. -- 2007. 26. Bakerview Bible Conference Lectures on Revelation 1-7, 3 lectures. -- 2009. 27. Bakerview Bible Conference Lectures on Revelation 8-15, 3 lectures. -- 2010. 2. Acts, the conversion of Paul. -- [196-?]. 3. Amos, 3 presentations. -- [200-?]. 4. Anabaptist hermeneutics. -- 2000. 5. Apostolic understanding of the church, The. -- 2003. 6. Approach to the current charismatic movement, An. -- 1971. 7. Authority of the Bible. -- 2004. 8. Baptismal typology in the early church. --1968. 9. Bible school movement, The. -- 2005. 10. Biblical canon, The. -- 2009. 11. Biblical scholar looks at creation, A. -- 1976. 12. Birth of Jesus, the Christ, The. -- 2005. 13. Canadian conference of Mennonite Brethren, The. -- 2001. 14. Christian baptism. -- 2008. 15. Christ’s final triumph. -- [200-]. 16. Church in the plan of God, The. -- 2003. 17. Coaldale revisited. -- 1993. 18. Collection for the Christian poor in Judea, II Cor 8-9, The. -- [197-?]. 19. Coming of the Lord, The. -- 1996. 19a. Comprehensive exams (PhD); Luther School of Theology, Chicago. -- 1964. 20. Confessions of faith. -- [200-]. 21. Continuing education. -- [199-?]. 22. Continuity and discontinuity between the two testaments. -- 2000. 23. Death of my brother John, The. -- 2002. 24. Demut [humility] in the NT. -- [1961?]. 25. Discerning the Spirits. -- 1998. 27. English Bible, The. -- 1997. 28. English Bible: which one?, The. -- [199-]. 29. Ethical interpretation (Pauline). -- 1961. 30. Exegesis of Mark 7:1-15. -- [1956?]. 31. Franz, Jacob H. (1913-1978). -- [200-]. 32. From the first to the twentieth century. -- [199-]. 33. Funeral sermons (6 sermons). -- [200-]. 33a. Gerechtigkeit Gottes, Die. -- 1964. 34. German Bible, The. -- [196-]. 35. Gifts of the Spirit, The. -- [200-]. 36. Gospel of salvation, The. -- 2009. 41. How our Bible came to us, 2 lectures. -- [198-?]. 43. Installation as president of MBBC. -- 1982. 44. Interpretation of the book of Revelation. -- [198-?]. 45. Israel in the history of salvation. -- [200-?]. 47. Lehrdienst in der Gemeinde, Der. -- 1999. 48. Lena’s 80th birthday. -- 2003. 49. Lessons from an early church manual. -- [199-?]. 50. Living with the Bible. -- 2008. 51. Lord’s Day, The. -- 2008. 52. Lord’s Prayer, The. -- 1962. 53. Luther, Martin, and his Bible. -- [2001?]. 55. Marriage papers and vows (for all 5 children). -- 1970-2003. 56. Mennonite Brethren Bible College (MBBC): the early years. -- 1994. 57. Mennonite Brethren: People of the Bible. -- 2007. 59. New Birth: what is it?, The. -- 2001. 60. New Testament church in its relationship to the Old Testament covenant people, The. -- 1955. 61. New Testament in writing, The. -- 2006. 63. Pauline backgrounds. -- 1961. 64. Personal reflections. -- 1988. -- 1993. 65. Phenomenology of the Bible, The. -- [199-?]. 66. Piety in college life. -- [196-?]. 67. Perseverance of believers. -- [1956?]. 68. Place of women in the church, The. -- [1980?]. 69. Preparing teachers at the seminary. -- [197-?]. 70. Presidential letters, letters written to constituency as president of MBBC. -- 1982-1988. 71. Preach the Word. -- [198-]. 72. Protestant Reformation, The. -- [199-?]. 73. Reading and writing of memoires. -- 1993. 74. Renewal of inner life. -- [199-?]. 75. Role of women in church ministry, The; correspondence: D. Ewert to K. Neufeld. -- 2006. 76. Schools and missions. -- 1984. 77. Shaping of MB theology, The. -- 2000. 78. Significance of John the Baptist in God’s plan of salvation, The. -- 2005. 80. Symbolic use of water in the OT. -- [1964?]. 81. Theological and ethical issues faced by the MB church in the last fifty years. -- 2006. 82. Transmission of OT text. -- [200-?]. 83. Trips to USSR and Russia. -- 1990. -- [1997?]. 84. Uniqueness of Christian ethics. -- [197-?]. 85. Unity and diversity in the church, 2 lectures. -- [198-?]. 86. Unruh, Abraham H. -- [1961?]. 87. Use of the OT in the Matthean infancy narratives, The. -- [198-?]. 88. Waiting for Christ’s return. -- [199-]. 89. What does it mean to be biblical? -- 1979. 90. Why Christians fight over the Bible. -- [200-?]. 91. Why so many versions? -- [198-?]. 92. World, The. -- 2004. 93. Years at MBBC, The. -- 1982-1988. 1. The biblical account of creation. Gen 1-2. -- [200-?]. 2. In the beginning, God . . . Gen 1:1-2. -- 1996. 3. Life’s basic questions. Gen 3:9; 4:9. -- 1974. 4. Predigten über das Glaubensleben Abrahams, 9 Vorträge. Gen 11-25. -- [196-?]. 5. The call to a life of obedience. Gen 12:1-4. -- 1988. 6. God’s call to a redemptive ministry. Exod 3:1-12. -- 1988. 7. God as covenant partner. Exod 19: 1-8. -- 1975. 8. A room called remember. Deut 8:2. -- [200-?]. 9. Standing in the gap. Judg 6:11-24. -- 1968. 10. God’s call to service. I Sam 3:1-10. -- 1988. 11. Memorials of God’s goodness. I Sam 7:12. -- [198-?]. 12. Regaining our sense of calling. I Kgs 19:1-16. -- 1987. 13. A crisis of faith in the life of a psalmist. Ps 73. -- 2009. 14. A prayer for renewal. Ps 80. -- 1967. 15. Marks of a godly home. Ps 127. -- 1997. 16. The making of a servant of God. Isa 6:1-8. -- 1988. 17. The confessions of a servant of God. Jer 15:10-21. -- [198-?]. 18. Seekest thou great things for thyself? Jer 45:5. -- [196-?]. 19. God as redeemer. Jonah 1:1-3; 3:1-4; 4:1-11. -- 1975. 20. He was a good man . . . Micah 6:8. -- 1988. 21. On the watchtower of faith. Hab 1:1-6, 13; 2:1-4. -- 1984. 22. Emmanuel: God with us. Matt 1:22-23. German and English. -- 2006. 23. Opposition, anticipation, adoration. Matt 2:1-22. -- 2007. 24. The ministry of John the Baptist. Matt 3:1-17. -- [200-]. 25. The temptation of Jesus. Matt 4:1-11. -- [199-?]. 26. The beginning of Jesus’ Galilean ministry. Matt 4:1-25. -- [200-]. 27. Kingdom people. Matt 5:1-16. -- [200-]. 28. Kingdom ethics. Matt 5:27-37. -- 2005. 29. Your kingdom come. Matt 6:10. -- 2001. 30. Give us this day our daily bread. Matt 6:11. -- 1992. 31. Kingdom people and material possessions. Matt 6:19-34. -- [200-]. 32. Relating to God and others as kingdom people. Matt 7:1-12. -- [200-]. 33. Eschatological parables in Matthew’s Gospel. Matt 13:24-30; 36-43; 25:1-13. -- [200-]. 34. Surprised by joy. Matt 13:44-46. -- [200-]. 35. I will build my church. Matt 16:18. -- [200-]. 36. Who is the greatest in the kingdom. Matt 18:1-4. -- 2000. 37. The triumphal entry into Jerusalem. Matt 21:1-11. -- 2007. 38. Jesus foretells the future. Matt 24. -- [200-]. 39. Eschatological parables in Matthew’s Gospel. Matt 25:31-46. -- 2004. 40. On the way of the cross. Matt 26:46-75. -- [200-]. 41. The missionary message of the Bible. Matt 18:16-20. -- 1978. 42. Der Ruf zur Juegenschaft. Markus 1:16-20. -- 1997. 43. The biblical charter for disciple making. Mark 3:13-15. -- 1985. 44. The last days. Mark 13:1-13. -- 2008. 45. The new covenant. Mark 14:10-26. -- [196-?]. 46. The Passion narratives. Mark 14:32-42. -- 2010. 47. Jesus before Pilate. Mark 15:1-20. Calvary the richest hill on earth. Matt 15:21-39. -- 1986. 48. Introduction to Gospel of Luke. The birth of John the Baptist. Luke 1:5-25; 57-60. -- 2007. 49. The annunciation of Jesus’ birth. Luke 1:26-38. -- 2008. 50. Good news for modern man. Luke 2:8-14. -- 1985. 51. The good news of salvation. Luke 2:13-14. -- 2009. 52. Post Christmas blessings. Luke 2:25-35. German and English. -- 2008. 53. The promise of an acceptable year of the Lord. Luke 4:16-21. -- 1988. 54. Das Gleichnis von dem barmherzigen Samariter. Lukas 10:25-37. -- 2005. 55. The parable of the unjust steward. Luke 16:1-13. German and English. -- 2005. 56. The parable of the rich man and Lazarus. Luke 16:19-31. German and English. -- 2005. 57. Father forgive . . . Luke 23:34. -- [196-?]. 58. An encounter with the living Christ. Luke 24:13-34. German and English. -- 1993. 59. The mission of the church. Luke 24:46-59. German and English. -- [199-?]. 60. The Gospel of John, an introduction. -- 2008. 61. God, the Word. John 1:1-18. -- [200-]. 62. The Word became flesh. John 1:1, 14. -- 1983. 63. The incomprehensible love of God. John 3:16. German and English. -- 2008. 64. Worship in spirit and truth. John 4:20-26. -- 2002. 65. The conclusion of the discourse on the bread of life. John 6:52-71. -- [200-]. 66. The promise of an abundant life. John 7:37-39. -- 1992. 67. The raising of Lazarus. John 11:1-57. -- [200-]. 68. I am the resurrection and the life. John 11:18-27. Funeral of A.A. Unruh. -- 1988. 69. Preparing for the Passion. John 12:1-8. German and English. -- 2008. 70. The Father’s house. John 14:1-5. Funeral of David’s mother. -- 2000. 71. The gift of the Paraclete, the Holy Spirit. John 14:16-17; 15:26-27; 16:7-8, 12-15. -- 2005. 72. In the world but not of the world. John 17:14-17. -- 2005. 73. Suffered under Pontius Pilate, was crucified, dead and buried (Apostles’ Creed). John 19:1-42. -- 2003. 74. The Acts of the Holy Spirit. Acts 1:1-5. The exaltation of Jesus. Acts 1:6-11. The upper room. Acts 1:12-26. The coming of the Holy Spirit. Acts 2:1-13. Peter’s Pentecost sermon. Acts 2:14-36. The new people of God. Acts 2:37-47. 6 sermons. -- [199-?]. 75. Between Easter and Ascension. Acts 1:1-11. -- [200-]. 76. He ascended into heaven. Acts 1:9-11. -- 2001. 77. Apostolic missions. Acts 1:8. -- [196-?]. 78. The early church: our model. Acts 2:37-47. German and English. -- [198-?]. 79. The first Gentile Pentecost. Acts 10:1-48. -- 2000. 80. The Samaritan Pentecost. Acts 8:1-24. -- 2000. 81. Paul’s synagogue sermon and its aftermath. Acts 13:26-51. -- [200-]. 82. Paul’s ministry in Ephesus. Acts 19. -- 2009. 83. Paul the prisoner. Acts 24:1-27. -- [200-]. 84. The Spirit as helper in our prayers. Rom 8:26-27. -- 1991. 85. The lordship of Christ. Rom 10:7-11. -- 1972. 86. A cause to live for. Rom 12:1-2. -- 1980. 87. Sanctified ambitions. Rom 15:20. -- [198-?]. 88. Background to I Corinthians. -- 2007. 89. Background and Prologue. I Cor 1:1-9. -- 2004. 89a. Maintaining the unity of the church. I Cor 1:10-31. -- 2004. 90. The Spirit of God and the proclamation of the gospel. I Cor 2. -- [198-?]. 91. Die Gemeinde und ihre Lehrer. I Kor 3:5-9; 4:1-5. -- [199-?]. 92. Working together on God’s field. I Cor 3:5-9. German and English. -- 1998. 93. Building the church. I Cor 3:10-15. German and English. -- 1982. 94. Workers, builders, and stewards: portraits of God’s servants. I Cor 3:5-15; 4:1-5. -- 2009. 95. Stewards of the mystery of God. I Cor 4:1-5. German and English. -- 2000. 96. Apostolic directives for church discipline. I Cor 5. -- 2007. 97. Marriage, singleness and related matters. I Cor 7:1-24. -- [200-]. 98. The unmarried, the betrothed, the widows. I Cor 7:25-40. -- 2004. 99. Voluntary restriction of liberty. I Cor 9:1-27. -- 2004. 100. Women and men at worship. I Cor 11:1-16. -- [200-]. 101. Disorders at the Lord’s table. I Cor 11:17-34. -- [200-]. 102. The gifts of the Spirit. I Cor 12. -- [200-]. 103. The mysterious ways of God. I Cor 13:12-13. -- 2004. 104. A hymn of praise to love. I Cor 13:1-13. German and English. -- 1982. 105. The use of spiritual gifts in worship. 1 Cor 14:1-40. -- [200-]. 106. The good news of the gospel. I Cor 15:1-11. German and English. -- 2010. 107. Die Auferstehung der Toten. I Kor 15:12-58. -- 1993. 108. The gospel: what is it? I Cor 15:1-4. -- [200-]. 109. Changed by beholding. II Cor 3:18. -- 1986. 110. Treasures in earthen vessels. II Cor 4:7. -- [199-?]. 111. Der Dienst am Evangelium. II Kor 4:1-7. -- [199-]. 112. Denn wir wandeln im Glauben und nicht im Schauen. II Kor 5:7. -- [199-?]. 113. In praise of the gospel ministry. II Cor 4:1-7. -- 1998. 114. Spiritual enthusiasm. II Cor 5:9. -- 1964. 115. The wonder of redemption. Gal 1:3-5. German and English. -- 2001. 116. Called to serve. Gal 1:15-24. -- [198-?]. 117. Christ’s first advent. Gal 4:4-5. -- 1988. 118. Life in the Spirit. Gal 5:16-25. German and English. -- [198-?]. 119. Sowing and reaping. Gal 6:7-10. German and English. -- 1995. 120. As we have opportunity, let us do good. Gal 6:9-10. -- 1988. 1. The spiritual wealth of the church. Eph 1:3-14. German and English. -- 2007. 2. God’s Pentecostal gift. Eph 1:13-14. -- 2008. 3. Paul’s prayer for the church. Eph 1:15-19. German and English. -- 1997. 4. Created in Christ Jesus unto good works. Eph 2:1-22. German and English. -- 2001. 5. I will build my church. Eph 2:20-23. -- [199-?]. 6. God’s plan of salvation. Eph 2:11-22. -- [200-?]. 7. Stärkung im Glauben. Eph 3:14-21. -- [199-?]. 8. The mystery of Christ’s body, the Church. Eph 3:1-21. German and English. -- 2004. 9. The call to service. Eph 3:7-8. -- 1983. 10. Unity and diversity in the Church. Eph 4:1-16. German and English. -- 2001. 11. The new life in Christ. Eph 4:17-32. German and English. -- 2002. 12. How to walk and please God. Eph 5:1-20. German and English. -- 2001. 13. The fullness of the Spirit. Eph 5:18. German and English. -- [198-?]. 14. Der Geistliche Kampf der Gemeinde. Eph 6:10-24. -- [199-?]. 15. An early Christian greeting. Phil 1:1-2. -- [198-?]. 16. A joyous thanksgiving. Phil 1:3-8. -- [198-?]. 17. A prayer for growth. Phil 1:9-11. -- [198-?]. 18. A prisoner’s thanksgiving and prayer. Phil 1:1-11. German and English. -- 2002. 19. Honoring Christ in the adversities of life. Phil 1:12-26. German and English. -- 2002. 20. Worthy of the gospel. Phil 1:27-30. German and English. -- 2002. 21. Practical apostolic appeals. Phil 2:1-11. German and English. -- 2002. 22. Unity through humility. Phil 2:1-4. -- [198-?]. 23. The Christ hymn. Two sermons, part A and part B. Phil 2:5-11. -- [199-?]. 24. Aufgenommen in die Herrlichkeit. Phil 2:9-11. -- 2004. 25. Patterns to emulate. Phil 2:19-30. -- 1985. 26. Breaking with the past. Phil 3:1-11. -- 1995. 27. Belehrungen im Blick auf die Vergangenheit Gegemwart und Zukunft. Phil 3:1-21. -- [199-?]. 28. Already but not yet. Phil 3:12-21. -- [200-?]. 29. Encouraging apostolic admonitions. Phil 4:1-9. -- 1995. 30. Introduction to Colossians. Col 1:1-8. -- [199-?]. 31. The good news of the gospel. Col 1:1-14. -- 2007. 32. Thy word is truth. Col 1:3-8. -- 1989. 33. Prayer for knowledge and godly conduct. Col 1:9-14. -- [199-?]. 34. A new pattern of life. Col 3:1-17. -- [200-?]. 35. Exhortations, requests, and greetings. Col 4:2-18. -- [199-?]. 36. Paul: apostle, pastor, and friend. Col 4:7-18. -- [200-?]. 37. Introduction to Thessalonian epistles. -- [199-?]. 38. 3 sermons. The basic characteristics of our life in Christ. I Thess 1:1-3; The spiritual foundations of our life in Christ. I Thess 1:4-6; The marks of the new life in Christ. I Thess 1:7-10. -- 1984. 39. 5 sermons. In the service of Christ. I Thess 2:1-12; The word of God. I Thess 2:13-16; The ups and downs in the service of God. I Thess 2:17-3:13; The blessed hope of the church. I Thess 4:13-18; Ready for the Lord’s return. I Thess 5:1-11. -- 2000. 40. Einleitung zu II Thessalonicher. -- [199-?]. 41. Paul and Timothy. I Tim 1:1-10. -- [199-?]. 42. The minister of the gospel. II Tim 2:1-7. -- 1985. 43. Images of a genuine servant of God. II Tim 2:1-26. German and English. -- 1999. 44. Der Dienst am Wort. II Tim 4:1-5. -- [199-?]. 45. The needs of a Christian student. II Tim 4:13. -- 1985. 46. The advent of redeeming grace. Titus 2:11-13. German and English. -- 2000. 47. God has spoken by his son. Heb 1:1-3. German and English. -- 2003. 48. The mystery of the incarnation. Heb 2:14-18. -- 2003. 49. Son of Man, savior, and high priest. Heb 2:5-18. -- [199-?]. 50. The superiority of the Christian faith. Heb 10:1-39. -- [199-?]. 51. Although he is dead, he still speaks. Heb 11:14. Sermon delivered at father’s funeral. -- 1989. 52. Der christliche Pilger. Heb 11:8-10. -- 1987. 53. Mose in seiner weisen Wahl. Heb 11:23-31. -- [197-?]. 54. The race that is set before us. Heb 12:1-2. -- [198-?]. 55. Two thanksgiving offerings. Heb 13:15-16. -- [198-?]. 56. Pure religion. Jas 1:19-27. -- [197-?]. 57. Siegreiches Christentum. Jas 1:12-18. -- [197-?]. 58. The lordship of Christ. Jas 4:13-17. German and English. -- 1986. 59. The living hope of the believer. I Pet 1:3-5. German and English. -- [200-?]. 60. The tenses of salvation. I Pet 1:6-12. -- [199-?]. 61. Biblical counsel for the college year. I Pet 1:13. -- 1988. 62. The good news of redemption. I Pet 1:17-21. -- 1995. 63. The church, a contrast society. I Pet 1:13-2:5. -- [199-?]. 64. Die hohe Berufung des christlichen Pilgers. I Pet 2:1-10. -- [197-?]. 65. The new people of God. I Pet 2:9-10. German and English. -- 2001. 66. The wonder of redemption. I Pet 2:24-25. -- [198-?]. 67. Good stewards of God’s gifts. I Pet 4:10-11. -- [198-?]. 68. Tending the flock of God. I Pet 5:1-7. -- 1994. 69. Listening to the voice of the Spirit. Rev 1:4-8. -- 2003. 70. The spiritual dynamics of the Christian life. Rev 1:5b-6. -- [199-?]. 71. A vision of the presence of Christ in the church. Rev 1:9-20. German and English. -- 1985. 72. What is the Spirit saying to our churches today? Rev 2:1-7. -- 1988. 73. Comfort in suffering. Rev 2:8-11. -- 1996. 74. Mangel an lebendigem Glauben. Rev 3:1-6. -- 1994. 75. A glimpse of glory. Rev 7:13-17. -- 2004. 76. The open book. Rev 10:8-11. German and English. -- 1989. 77. The birth of Messiah in the visions of the seer of Patmos. Rev 12:1-17. -- 1996. 78. Followers of the Lamb. Rev 14:1-5. -- 1996. 79. A heavenly promise in the face of death. Rev 14:13. -- 1987. 80. 10 sermons. A vision of Christ among the churches. Rev 1:1-20; Christ’s messages to the churches. Rev 2:1-3:20; A vision of the court of heaven. Rev 4:1-5:14; The seven seals. Rev 6:1-7:17; The seven trumpets. 8:1-11:19; The church and the forces of evil. Rev 12:1-14:5; Visions of final judgment. Rev 14:6-16:21; The demise of all evil powers. Rev 17:1-19:5; The final victory. Rev 19:6-20:15; Visions of eternal glory. Rev 21:1-22:21. -- [199-?]. 81. 9 Predigten über die Offenbarung. Der lebendige Christus unter den Gemeinden. Rev 1-4; Vor Gottes Thron. Rev 4:1-5:14; Die sieben Siegel. Rev 6:1-7:17; Die sieben Posaunen. Rev 8:1-11:19; Der Kampf, der Gemeinde mit bösen Mächten. 12:1-14:5; Die gerichte Gottes. Rev 14:6-16:21; Das Ende aller babylonischen Mächte. Rev 17:1-19:5; Die zukünftige herrschaft Gottes. Rev 19:6-20:15; Die ewige Herrlichkeit. Rev 21:1-22:21. -- [199-?]. 82. 8 Predigten aus der Offenbarung. Der prophetische Auftrag. Rev 1:1-20; Die Gemeinde Jesu Christi in den Augen ihres Herrn. Rev 2-3; Die Endzeit vom himmlischen Standort gesehen. Rev 4:1-7:17; Die Gemeinde Gottes in der Endzeit. Rev 8:6-11:19; Die grosse Prüfung. Rev 12:1-14:20; Endzeitliche Gerichte. Rev 15:1-19:5; Der Triumph Gottes am Ende dieses Zeitalters. Rev 19:6-22:21; Der Triumph Gottes am Ende der Geschichte. Rev 19:6-22:21. -- [198-? ].